On a small sheep farm in the Scottish Borders. 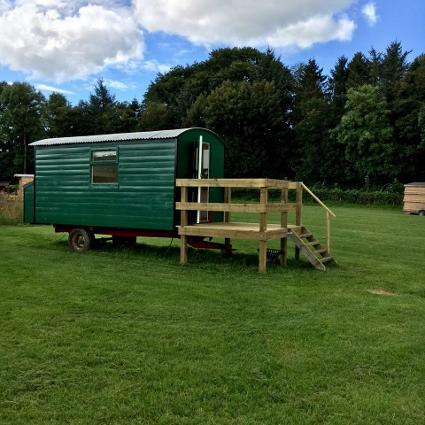 Small site with Pod, Shepherd's hut, Showman's hut and 2 Gypsy caravans. Eco toilets and propane gas showers.